He wished Parsa, the Perses Polis to be "The Image of the Achaemenid Monarchy" where the figures of the king reappear endlessly as the downtrodden enemy carries his throne and long cohorts of sculptured warriors and tribute conveyors parade unceasingly. 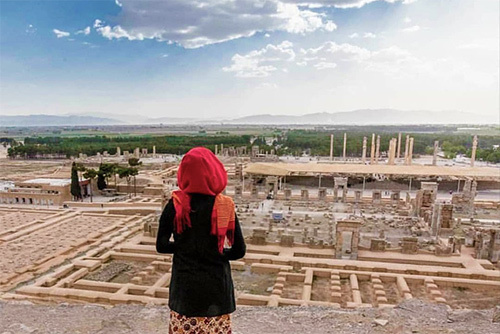 This experience is the most complete immersion at the roots of the Persian Empire, in one the world's greatest archaeological sites and world heritage. From the ancient capital of Achaemenid Empire at the foot of mountains take the route to the Necropolis of Naqsh-e Rostam, where the Persian kings made their last magnificent mark to demonstrate splendor in the city of death. 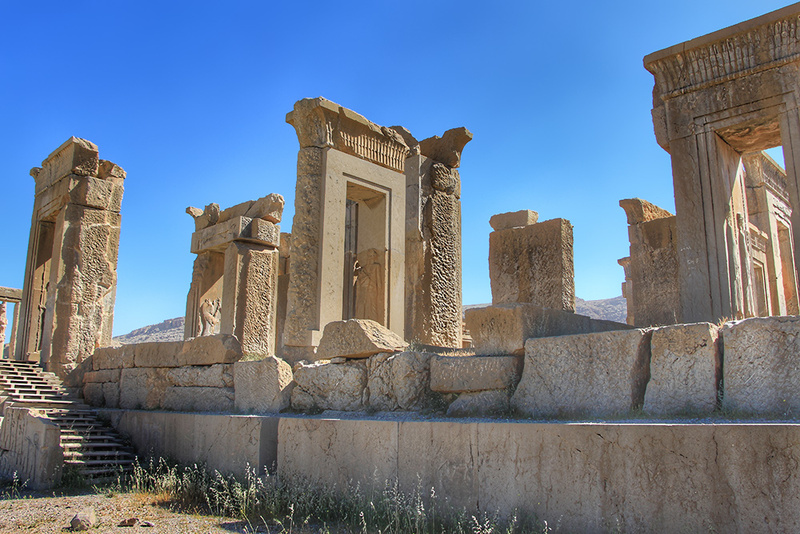 The venture through history and architecture ends up just nearby the glorious but silent Persepolis, in a rural village against chaos with homemade lunch and peaceful stroll in the neighboring the mountains. 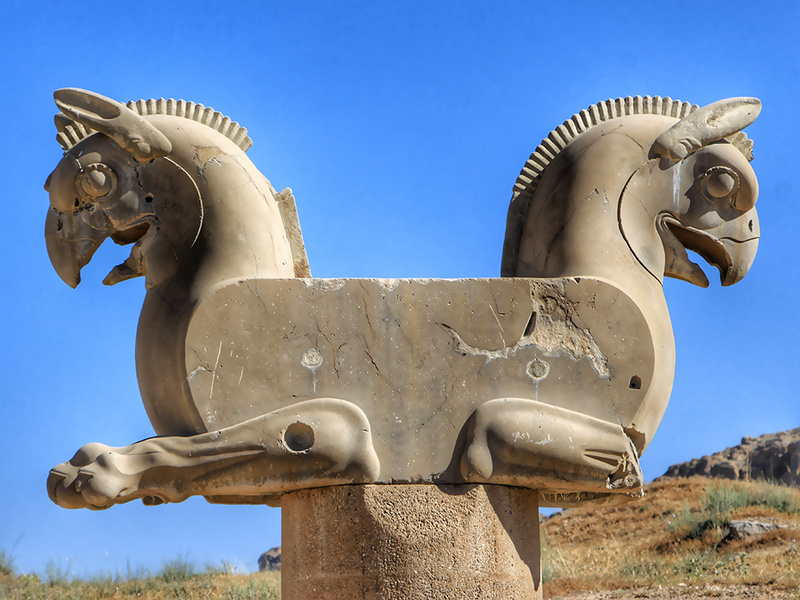 Discover the capital of Achaemenid Empire that was hidden to the world until the invasion of Alexander the Great where Darius the Great started to build more than 2500 years before. Close to Persepolis is the sacred Necropolis (Naqsh-e Rustam), where the founders of the Persian Empire lie for eternity. The gigantic tombs of Darius I, Xerxes, Artaxerxes I, and Darius II, are hollowed out of the cliff and embellished with sculpted figures and huge bas-reliefs. The row of the four tombs, all shaped in crosses and facing the visitor, inspires admiration. These mountains chosen by Darius, as well as the whole area, are believed to be sacred, that's why many ancient tombs, called "Ostodan", can be found there. As the Achaemenids were Zoroastrians, this place also holds many holy places of this ancestral religion, such as Fire Temples. Fars Province surroundings display green valleys and waterfalls hidden between the rocks. This natural paradise is home to several Iranian tribes and also has many old villages. Encountering the locals is the best way to get familiar with their culture and customs. You can walk around a traditional village to observe its unique architecture, appreciate its peaceful atmosphere before sharing a local meal. We leave Shiraz at 8 A.M, one hour later arrive in Persepolis site. Visiting the site takes about 2 hours and a half. After some rest, we head toward Necropolis, at a short distance drive. Visiting Naqsh-e Rostam Necropolis for an hour, we move to a neighbor village close to the mountain. In this pleasant and authentic atmosphere, we share a local lunch with a rural family and visit around the village.